I wrote to you recently about how your observation that everyone gets what they want was exemplified in how people's subconsciouses are so powerful it can guide them to great success or failure. I cited an example of a trader friend of mine nicknamed Typhoid Trader as any trading system he tried would fail immediately after he started trading it. His hundreds of other trades over a period of several years also failed almost to the minute of putting on a trade. It was nothing short of remarkable. In light of this, I was wondering if those who are sitting in prison or 6 feet under for creating amazing technologies or cures for disease whose reputations have been ruined by the state in the name of big business/big pharma/etc would agree. Did these individuals really want to be persecuted for their brilliance? To date, there are plenty of stories of such individuals so society is waking up. As a collective, they motivate the rest of us to stand up against big, corrupt government, though as Govopoly shows, nothing much can be done at this stage. So perhaps the 50,000 foot view is they wanted this to happen as it ultimately creates revolutionary change? Even so, I am having a hard time understanding how these heroes whose lives were ruined and in many cases made out to be villains through the distortion of the press, some who were framed for witch hunt type crimes, wanted this to happen to them. Did they really get what they wanted? [Name] who once served in US government is a great whistle blower. His website has a large audience. More are waking up to the atrocities of big government, justice systems, and the like. Of course, his life may be at risk in running such a site. "The privatization of the US prison system has resulted in huge numbers of innocent people being sent to prison, where they are forced to work for Apple Computer, IT services, clothing companies that manufacture for the US military, and a large number of other private businesses. The prison laborers are paid as low as 69 cents per hour, below the Chinese wage. This is America today. Corrupt police. Corrupt prosecutors. Corrupt judges. But maximum profits for US Capitalism from prison labor. Free market economists glorified private prisons, alleging that they would be more efficient. And indeed they are efficient in providing the profits of slave labor for capitalists." So do you feel any of the incarcerated or assassinated innocent victims, some who should be deemed heroes, get what they wanted? The Intention of a system refers to its structure, how you set things up. The Result refers to the behavior of the system, how things turn out. The statement, "Everybody gets what they want," refers to the relationship between intentions and results. You reap the result of the intentions you sow. One way to land in jail involves teasing the authorities. This type of Intentions = Results pattern seems to appeal to people who like to work on authority and martyrdom issues. Get your picture on FAQ. In January 2015, after increasing my account size by 119% I re-set my position sizing to my then current equity with a target to double my equity and a drawdown tolerance of 50%. After just over a year, my account equity has grown by 10.75% and is currently showing a drawdown of 15.33%. To date, the worst daily close drawdown during this period has been 41.45%. Throughout this period I find I am able to execute my signals and review the results with a feeling of calm. At times - especially when my equity is growing or shrinking at a high rate - I worry if my account has the properties of 'overshoot and collapse'. For the last two weeks I feel pain and churning in my stomach, I wonder if this is a signal to exit some profitable positions or just an illness. I realize I have a choice of feeling regret at exiting positions too early or possibly regretting sticking with my system and losing open profits. At the moment I am sticking with my system. During the summer of 2015 I decide to expand my trading into trading individual stocks. This raises a whole new set of issues: the universe of stocks to be traded, the number of positions to hold at any one time, a method to select stocks within the universe, margin requirements, tax considerations and compliance reporting. I enjoy the research and I create a system involving a filter to select only stocks exhibiting the fastest rate of growth and simple long only trend following entry and exit rules. I again target to double my account equity with a drawdown tolerance of 50%. I start trading my system on 4th August 2015. My equity since then has decreased by 13.76%. I find I am not following my rules fully and realise I am not confident in the quality of my work. This evening I write a plan that involves retesting a number of ideas. I feel daunted by the amount of time that will be involved, I feel a sense of being stupid that my habit of working alone means I do not have a team to collaborate with, I wonder how the work will change things for me. Thank you as always Ed for keeping FAQ online and sharing your work. I hope all is well for you and your family. You might consider that trend following does not include setting targets. I was thinking how do you deal with the hurts. By forgiving. Forgiveness sounds easy, but it's probably the hardest concept to grasp. Some people engage a ritual of forgiveness as an intentional and voluntary process in which they undergo a change in feelings and attitude regarding an offense, let go of "negative" emotions such as vengefulness and develop an ability to wish the offender well. In TTP, we take a different view. 1. Trust / Taste: we don't engage in the ritual of collecting evidence and making a one-on guess about whether we can trust someone; we establish rapport at the beginning of the relationship and maintain rapport throughout the relationship, so we can taste each others' ongoing level of desire to keep agreements. 2. Drift: In case the relationship starts to drift, and agreements start to turn murky, we maintain rapport and discuss ways to change the terms of the relationship to bring it in line with everyone's intentions - or to end it, early on. 3. Judging / Taking Responsibility: We do not judge each other or try, through legal proof, to cast the other party as the villain; we each take responsibility for the evolution of the relationship and view the other party as a mirror of our own intentions. 4. Attraction: We look for response patterns (Rocks) within ourselves that account for attracting our partner and managing the relationship to get the current result. 5. Medicinal: We notice some of our response patterns may involve an attempt to medicate "negative" feelings. As we come to see all our feelings as having positive intentions, we notice our motivation for delivering medicinal responses diminishes. 5. Fore-Give-Ness: In TTP we engage a ritual in which we give our response patterns (Rocks) back to the people we hold as our role models, and from whom we originally learn our response patterns (The Rock Donors). We replace these Rocks with pro-active Heart Rocks. These methods tend to cast the other person in the relationship as a teacher and as an opportunity for developing and trying out new relationship skills (Rocks). We hold that conventional forgiving, in the sense of absolving someone from responsibility and then wishing them well, falls into the behavioral category of self-medication and enabling. ... I’m a full time software (iPhone) developer living in Puerto Rico. I started studying the markets almost two years ago and after a lot of experimentation I decided to practice CAN SLIM investing exclusively in March 2015. I’m still in the process of developing my trading routine and rules and I have to say it’s been an interesting journey. I see you mention in the Tribe’s website that you live in Puerto Rico. I’ve been trying to connect with other traders in the island without any luck. At one point I even contacted Investor’s Business Daily to see if I could start an "IBD Meetup" here in the island but they replied that they don’t have many subscribers from Puerto Rico. I saw that there was a Puerto Rico Tribe that met in 2015. Are there plans for meetings in 2016. Do you offer seminars or workshops in the island? I would love to listen to you in person and meet other similar minded people in Puerto Rico. I have your letter now on display on FAQ - as an invitation for others to respond. please remove my Tribe invitation (Warsaw, Poland) from the directory. Thank you for managing the Tribe and for helping to keep the directory current. I attach a Boston Trading Tribe update for the Tribe directory. Promote personal and professional growth of all members. Share and practice Trading Tribe educational technology. Continue along the path towards being the best I can be, in terms of family, relationships, and career. Practice intimacy relating. Use SVO-p-b language. Thank you for sending me your new Trading Tribe Information Document (TTID). You can find it on line at Resources, above, in the Tribe Directory under Boston, Massachusetts. regarding the above system on your website, I would like to ask the following: are the occasional winners expected to outperform the whipsaw losses over time? Is this system similar to one that successful traders have used? Many thanks. The system on the site illustrates the mechanics of implementing a simple system. I do not have expectations for this system to meet or surpass any particular benchmarks. I do not recommend following or not following this system, or any others on this site. You are asking me " ... what kind of increasing-size Rocks I feel unable to move alone". I initiate each trade with 1 contract every usd100k in the account (I trade the e-mini s&p500). I would feel more comfortable trading 10 different sub-accounts of usd100k each, using 1 contract in each, rather then trading a single account of usd1m, using a 10-contract initial trade. As you can understand, the risk profile would be the same, but the feeling of a bigger burden (rock), is heavier for me in the second alternative. You might consider reading The Trading Tribe and TTP Essentials before we continue the discussion of the Rocks Process. I attended my first Tribe meeting last week. It was in newly reformulated Central Florida Tribe. I had a mixed experience. There were four members. All members had prior Tribe experience and workshop experience. I am brand new to the tribe. I felt apprehensive coming to the meeting. But I need this. I have quite a few issues I want to address and I have high hope for this process. I am very nervous. We do the drumming. I find that this actually does help me to calm down a little. We go around the circle and tell our thoughts and feelings. My thoughts were anxiety, trepidation, curiosity. My thoughts were what if I screw this up? Trying to make sure I am doing it right. I am hopeful of the process. Then I am up first. PM asks me to discuss my issue. I bring up a severe work issue, that is giving me great pain and anxiety, something that threatens my very livelihood. I feel as if I have no control over my life, there is nothing I can do to resolve the issue. I feel like an animal trapped in a cage. The PM challenges me, saying I do not really want to solve this issue. He says I lived with it already I can keep going on. I insist that I do want to deal with it. My face feels flushed. I start moving my hand up and down and the PM tells me to keep doing that. To not move the rest of my body. The other members start with the field of acknowledgement. My face feels flushed and warm. My body feels nothing. They keep encouraging me. My head gets lower, I feel my eyes watering. My face almost feels like it is numb like in a cloud. They tell me to get into the feeling. I try but nothing happens. I really am in a lot of pain and misery over this issue and other issues. But I cannot get into it. I feel disappointed. I also feel fear in going too far. I feel I let the group down. After a while I go back to normal. We move on to the other members and their issues. PM tells me it was productive and a first step. I am anxious to move forward. I just hope I can do it. I do not want to go through life with these issues hanging over my head. I read a great quote the other day, "If someone offered you a pill that would make you permanently happy, you would be well advised to run fast and run far. Emotion is a compass that tells us what to do, and a compass that is perpetually stuck on north is worthless." I immediately thought of Ed and TT when I read this. Ed says that all emotions are good they are there for a reason. I just need to get my compass working again. 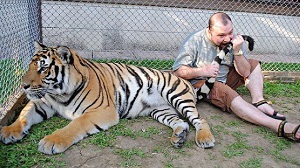 You might consider taking your feelings about <animal in a cage> to Tribe. Stan Grof visits my city and I attend his Breathwork Workshop. Prior to attending, I do not realize what a "big deal" it is to do Breathwork with Stan "on the floor". I do realize that when I see that 100+ attend from all over the US, Canada, Mexico, Europe. He speaks Thursday & Friday eves, the Breathwork is Saturday, and then he speaks again Sunday. I find it fascinating and listen for 6+ hours to a psychiatrist with 60-years of healing experience. He says there is no reason to live life with profound mental issues when Breathwork can heal them. This, my sixth Breathwork, is unremarkable, like the others. I finish with a deep sense of relaxation. I listen carefully to Stan and conclude (1) this weekend I experience exactly what my inner healer wants me to experience. (2) At my next Breathwork, instead of apprehension, I bring belief the event is a safe place for me to open and heal. Global Holotropic Breathwork Day is Sat. April, 9th, 2016. I have a prior commitment and am unable to do Breathwork on that day. 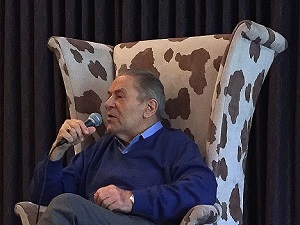 I share a photo of Stan I took at this weekend's event. My trading is going well. I am in sync with my model and it feels good. According to your answer of SVO-p and children of the 20th of january, I wonder how to teach a child to eat some broccoli and vegetables in the intimacy centric model. me: "hmmmm, Here are some vegetables: carrots, soya bean sprouts and broccoli, good for health, full of fibers and antioxidant..."
he: "beurk, I don't want to eat that..."
he:"No I don't like vegetables..."
me" taste it, you have not even tasted and you say that you don't like it"
he:" NOOO! I want some steak and french fries!! me:"too much meat is not that good for health, and yesterday you had already some steak and french fries." he: "so I want some pizza!! me:" pffffffffff, you are getting on my nerves!! 4 days ago you already had some pizza!! eating varied is good for health!! me: "taste it, you may like it after tasting it. There's nothing else to eat today. he after tasting it : ok, yest, it' not that bad but I don't like it very much. he eats the half of his slate. How may I react in the intimacy centric model?? I gather you wish to sell your child on a vegetarian diet. You might consider taking your feelings about <wanting to force your child to eat vegetables> to Tribe. Your current method teaches your child how to defend against bullying and manipulation - and ultimately how to bully and manipulate others. 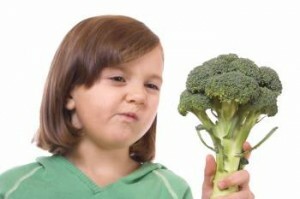 Parent: Here we have some vegetables, including broccoli. Parent: Thank you for telling me how you feel. I wonder if you can tell me more about how you don't like vegetables. Child: I just don't like them. I want steak and French fries. Parent: Thank you. I wonder if you can tell me more. Child: I know what I want and I don't think you know what I want and I don't think you care what I want. You just want to force me to do it your way. Parent: Thank you for telling me, for sharing your feelings with me. Child: Now you sound like you care about me more than you care about telling me how to eat. Parent: I want to listen to your feelings. I also want to share my opinions about food - and then I want to support you in making your own decisions about what you eat. Child: I feel like you care about me. I guess I can try the vegetables. I have read that you consider day trading "For when you want to suppress your existential blues with financial emergency and you don't want to bother going out to a casino". Since I have learnt (and everyday is learning), to respond to rather than anticipate the market, I find that the daily time-frame is the right one for me to maintain my dialog with the market. If I try to anticipate the market, I often end up in financial emergency, but if I just respond to the market, I get into a dialogue, that if performed on a longer time-frame (say weeks or months), would feel, for me at least, more akin to communicating via messages in a bottle rather than via spoken words. My methodology (discretionary), my time-frame (daily) and my style (contrarian-biased although I am learning to better trend follow), make me very different from you in trading, but my focus on feelings and responses make me very close too. Would you consider mentoring me in areas where I feel unable to move my rocks alone (e.g. increasing size)? I wonder what kind of increasing-size Rocks you feel unable to move alone. I now have <managing other peoples' feelings> and <letting the process run out of control> on my list for next Yribe. FAQ: "People must demonstrate willingness and motivation to attend my Tribe meetings"
* Buy and read the book "The Trading Tribe"
* Read the material on the TTP extensions. * Follow the full process including rocks / TTP extensions. I hold the new members to these commitments. I don't require an particular commitment to regular attendance at Tribe so far. I speak to new members to ensure that they are able to follow the concepts and that they want to follow the process rather than, say, chat about hot stocks. One person told me that he reads the material about risk management on FAQ and therefore he holds 4 stocks at one time, each at 25% of his equity. He explains "Ed says you should have 25% on any one position". He bases this, he explains, on the coin flipping exercise. He also says he wants to attend Tribe so he can listen to "great traders" and get trading tips. I do not allow him to join our Tribe. I recall that you have a fairly substantial fee for your workshops, particularly the first one, though I think you could afford to put them on for free. I remember you saying that this helps achieve two things: a degree of commitment, and a degree of capability. I recall reports where people who fail to show up at your Tribe lose permission to attend future Tribe meetings. When I join the Tribe here no-one follows the rocks process. No-one is doing even the original hot seat process. The "hot seats" seem more like meditating or yoga. Some of the original members leave within a few months after I join. We institute a more FAQ-compliant process. New members join and some have great success. But still some old members do not like the TTP extensions. One does only one rocks process ever; another never does it. Some don't show up reliably. I see that results relate directly to showing up and following the process. Intentions = Results. * Show up reliably. If you /have/ to be somewhere else, OK. But not "a better offer came up" or "I didn't feel like it". * Follow the full process including TTP extensions. I probably need a new venue as the member in whose home we run the Tribe does not like the rocks process. He, along with the other members, will be welcome to join the new Tribe, if he commits to following the ground rules. I have found the venue I need. I like the location, which is more convenient than the current one. I will pay for it and others can contribute voluntarily if they wish. This will not be a condition of membership. If others want to continue the old Tribe at the old location with a process of their choice, they can do that. I think about this plan for a few months now. I decide to do this. Now I plan how to execute it. I have a draft plan. Thank you for sharing your process and for exercising discipline, choosing the proactive response over the medicinal response. My wife and I continue in our process of conceiving a child. I feel a wide range of feelings. Sometimes I feel happy, other times I feel fear. Feelings of jealousy directed toward my unborn child bother me most. I feel afraid these feelings will affect how to talk to, treat and interact with my child. 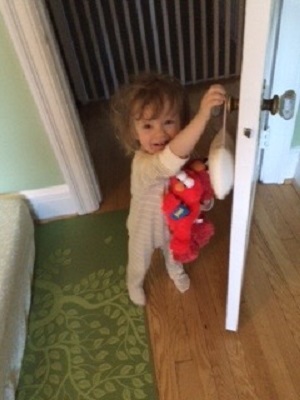 I feel shame that I also feel jealous that my child may have an upbringing way better than mine. My wife grows up totally different than me, her parents raise her without the fear of corporal punishment. I just recently give up the idea I do not want to use physical or verbal abuse as a tool for discipline. I grow up in a house where "No" was said a lot. In response my wife makes comment "a child should not hear "No" growing up (threats to safety not included) because you hear enough "No's"when you grow up. I struggle with this statement at first but grow to love it and accept it in my philosophy. I do wonder how I can promote self confidence and personal sovereignty with my children without spoiling them or teaching them entitlement to special treatment (I want them to feel deserving of success in all facets family, health, wealth etc). Now instead of my parents telling me "No" I have a voice in my head that tells me "No". It functions as a good risk management tool but something about it brings me back to the 7 year old who just wants a Batman action figure and gets told "no" by his parents, steals one from his classmate and receives corporal punishment when my parents find out. I know within myself I still struggle with my personal sovereignty and feeling ok with winning and the feelings that come with it. I worry about the rocks I may pass down. Thank you for sharing your process and for caring to think about these issues on behalf of your child. Thank you for the insight on the anger. Yes anger is a complex feeling to cover deeper fear. Being able to pin point that exact feeling timely needs more willingness and Tribe work. You might also consider the positive intention of anger - and the difference between anger and violence. I know nothing that can feed myself but trend following and blackjack. I want to find a job in the US in order to stay here with my girlfriend. I got a Master of Finance degree from a US school, but I don't like almost everything learned from the school, because it's opposite to trend following. The US government want a foreigner to find a job relevant to his major, it's a must if he want to stay in the US. I will be greatly thankful if you can give any advice. I want to find a job that can make my trend following experience or my blackjack counting skill useful. But it seems neither of them can give me a job. I don't care much about the salary. I just need a legal status to stay here with my girlfriend. By the way, we are not prepared to get married yet, so for now, marriage is not my consideration. Thank you. You might engage a career in trend following by developing a system and raising money. You might engage a career in blackjack by working for a casino; counting doesn't work against a multi-deck boot. You might consider taking your feelings about <commitment> to Tribe as an entry point. 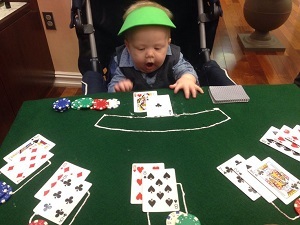 the dealer has the odds. I run the backtest and the optimization of the simple exponential crossover system on excel and I duplicate the results to the penny. The attach excel "live" document where the input can be changed to get the results. I run it on excel because I dont have much programming skills, but doing this allows me to get a feel of the numbers. Being 10 years late in discovering your TSP page allows me to do a forward test of the optimized system from 2005 to 2016. For the last 10 years, the highest Bliss setting is 180/85. Thank you for your guidance in your website. Thank you for sharing your process and your recent results. I drove my wife crazy with all the TTP stuff (beating drums and talking about rocks :)) I was involved in over the years. However it's now years later and I notice she's now attracted to an emotionally healthy parenting style with our toddler and is regularly spamming me with respective articles. We are creating new patterns with this generation. Best to you and the Tribe. Thank you for your commitment to conscious parenting. Your report moves me to feel deep joy and satisfaction.